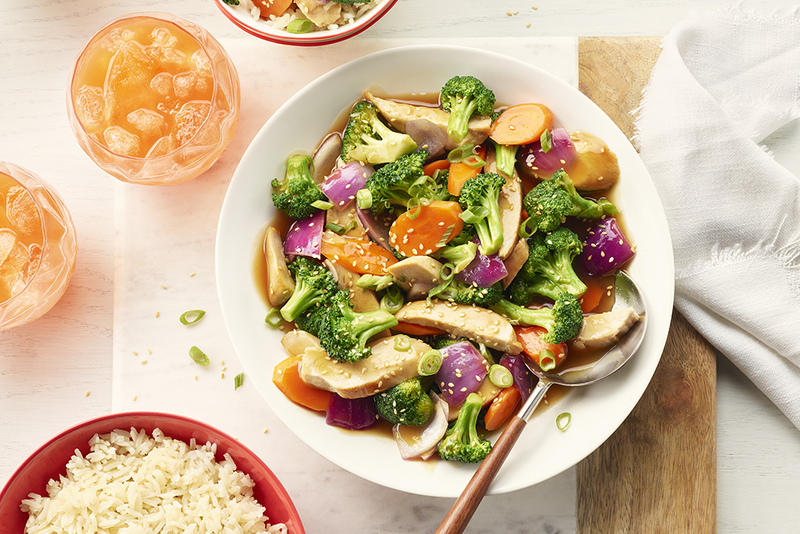 Chicken breast vegetables are coated in a delicious honey garlic sauce -- quick and easy for busy weeknights! 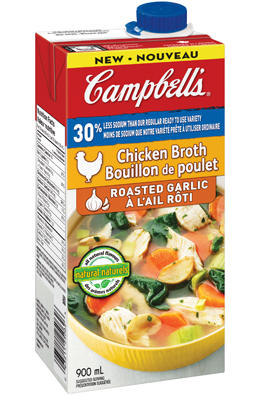 In a medium pot, combine 2 ½ cups (625 mL) broth with rice. Bring to simmer; reduce heat, cover and cook for 15-20 minutes or until the broth is absorbed. Fluff with a fork, cover and keep warm. In a small bowl, whisk together remaining broth, honey, soy sauce and corn starch; set aside. In a large non-stick skillet heat oil over medium-high. Sauté chicken for 3-5 minutes, or until no pink remains. Add vegetables and stir-fry for 3-5 minutes, or until tender. Whisk broth mixture. Add to skillet and bring to simmer. Cook 1-2 minutes, stirring frequently, or until sauce thickens. Serve with prepared white rice. To make this EXTRA garlicy, add 3-5 cloves of minced garlic to the sauce mixture before adding it to the skillet. Super easy recipe with amazing flavour! I added some celery and cremini mushrooms to round out the vegetables. I did need to double the cornstarch to get the sauce to the consistency I wanted. Easy and tasty, I’ll definitely make this again.